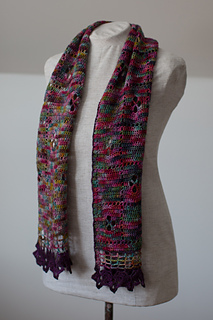 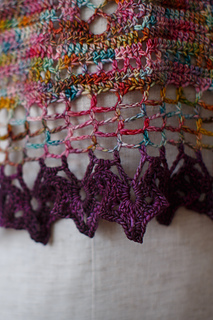 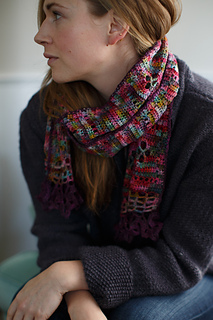 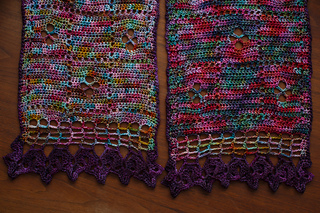 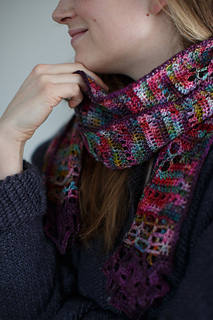 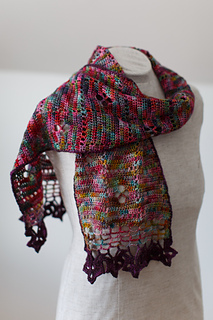 This gorgeous scarf is crocheted in a colorful wool that is a delight to work up! 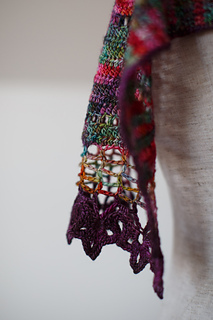 The intricate stitches leave you with a scarf literally infused with flowers. 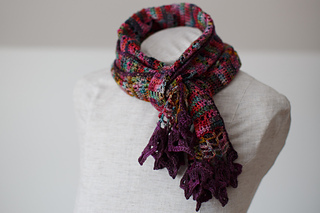 You can drape it around your shoulders to add a touch of winsome loveliness to any outfit or make it as a gift for someone who will feel truly special.